Lalremsiami (4', 17'), Salima Tete (5') and Mumtaz Khan (16') scored in India's victory. 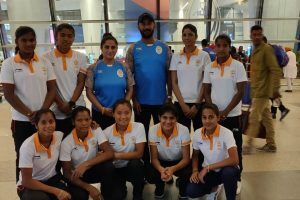 The excitement among the Indian U-18 Men and Women's Hockey Team was palpable as they assembled at the Indira Gandhi International Airport to leave for the Buenos Aires 2018 Youth Olympic Games. 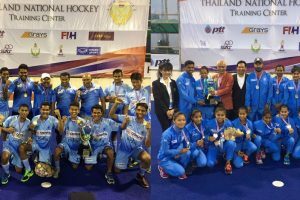 The Indian Under-18 Men's Hockey Team will begin their campaign at the Buenos Aires 2018 Youth Olympic Games against Bangladesh on 7th October 2018 while the Indian Under-18 Women's team will take on Austria on the same day. 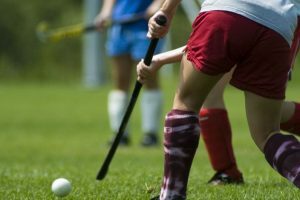 FIH confirms both the teams will be participating in the Youth Olympic Games for the first time.